Overall, at 4 out of 5 stars, NuBiotix Digestive Enzyme Blend is an above average probiotic. There are many qualities that I really like about it. NuBiotix is a great daily probiotic coming in at 2.5 billion CFU. You only have to take 1 capsule per day (before breakfast with water). I like that it’s only 1 capsule daily, nice and easy. You also don’t have to refrigerate this probiotic after opening, making it more stable and convenient. I really like the strains used in NuBiotix, they’re solid and have been researched more than many others. My favorite quality about this product is that it has a proprietary digestive enzyme formula. Along with probiotic strains, it contains vitamins B-12, B1, B2, and B6 and ingredients such as ginger root, peppermint leaf, and parsley leaf. 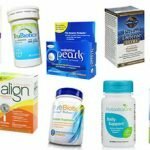 These ingredients have been shown to further help gastrointestinal health, bloating, gas, and food digestion. I felt really great the entire time I took these capsules. 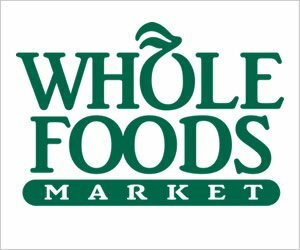 I have stomach issues and food allergies so I could definitely tell the added ingredients were beneficial to my belly and working well. As much as I like this product, there are a few downsides. For one, it’s just very expensive. Almost $50 for a month’s worth of probiotics is on the pricier side that I’ve seen. Also, there is no satisfaction guarantee, which is a big bummer. Overall, I really did like this probiotic and I appreciate the extra digestive enzyme blend, giving the probiotic strains an even greater boost, as long as you can get past the high price tag. NuBiotix contains 2.5 billion cells in 2 different probiotic strains. The first strain used is Lactobacillus acidophilus (1.5 billion). I really like this probiotic strain because it has been one of the most researched probiotic strains. It has been shown to potentially help with digestive health and the breakdown of lactose, diarrhea, gas, and regularity. 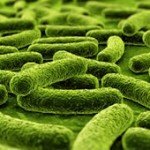 Lactobacillus acidophilus may also be able to balance the bacteria levels within the body. Along with belly support, this strain has also been researched to show ease of symptoms from asthma, lower high cholesterol, and boost the immune system. In addition, Bifidobacterium bifidum (1 billion) is used in the probiotic line up. This strain has also been researched to show immune support and function along with digestive support. Bifidobacterium bifidum may be able to help reduce inflammation, prevent yeast overgrow, diarrhea and help synthesize vitamin B and K in the body. NuBiotix is very allergy friendly. The only potential allergen it contains is GELATIN. Other than that, it’s free of all the major allergy causing ingredients. These capsules are also gluten free. I really like this probiotic because it contains an extremely low amount of added ingredients. Other than gelatin, the only other added ingredient is magnesium stearate. For a 30 capsule bottle, it costs $48.99. This ends up costing $1.63 a day to take this probiotic. NuBiotix is incredibly expensive, especially for a daily probiotic. I wasn’t a fan of the price; it was one of my biggest dislikes with this product. However, the price may be justified because I do think it’s an above average probiotic. 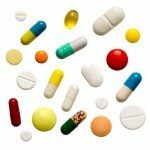 I didn’t experience any negative side effects while taking NuBiotix. I also just felt really good the entire time I took the probiotic. At 2.5 billion CFUs, it’s on the gentler side. Combined with the added enzymes for digestive health, my belly was feeling great. Unfortunately, I didn’t see any sort of satisfaction guarantee for NuBiotix. This is a big let down. If you want to return a product, you must first call their customer service department. Next, if a refund is granted you still have to pay for shipping and handling. Lastly, refunds are only given within 30 days of original shipment and returns must be in their original, unopened package. All in all, I wasn’t a fan of their refund process or the lack of a guarantee. 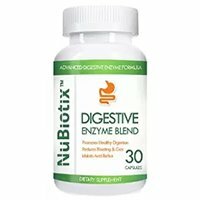 To buy NuBiotix Digestive Enzyme Blend, click here. Allergy Concerns No allergy concerns other than the use of gelatin. Guarantee NuBiotix doesn’t offer a satisfaction guarantee.